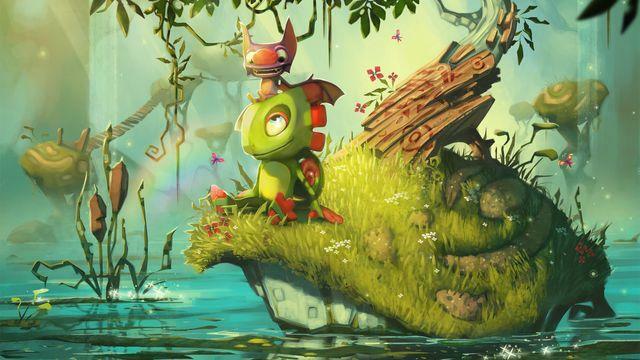 Garbled dialog, bright environments, and an inseparable buddy-duo. 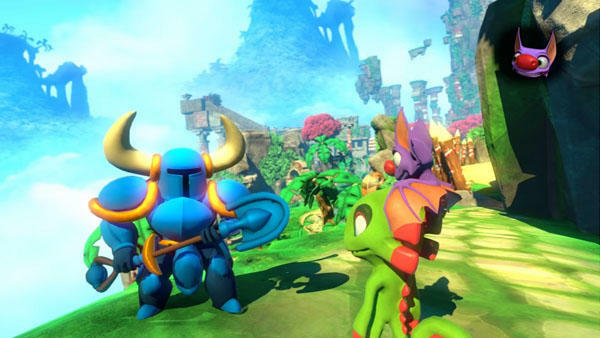 Yep, this must be a game inspired by Rare’s venerable 3D platformer Banjo-Kazooie. 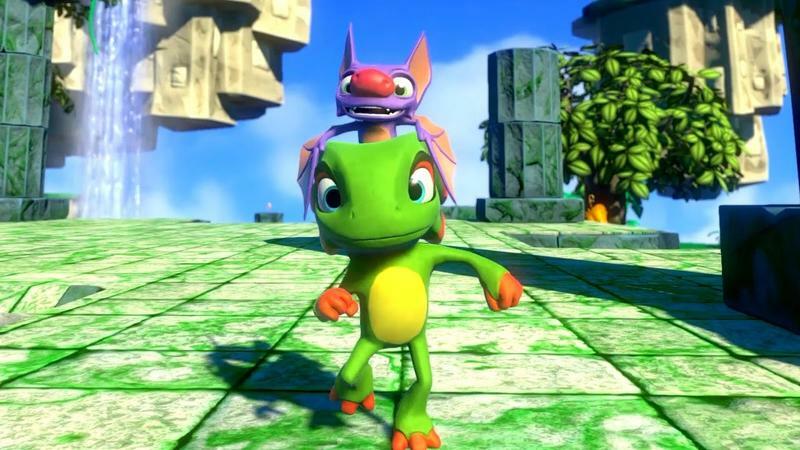 If you’re a fan of the Nintendo 64 classic—who isnt?—then you’ll feel right at home with Yooka-Laylee, a game that wears its inspiration like a bright hat. 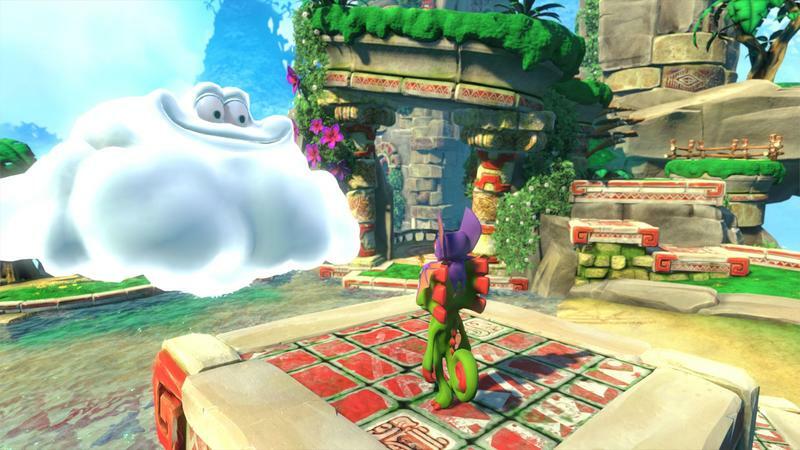 Playing Yooka-Laylee feels like catching up with an old friend. 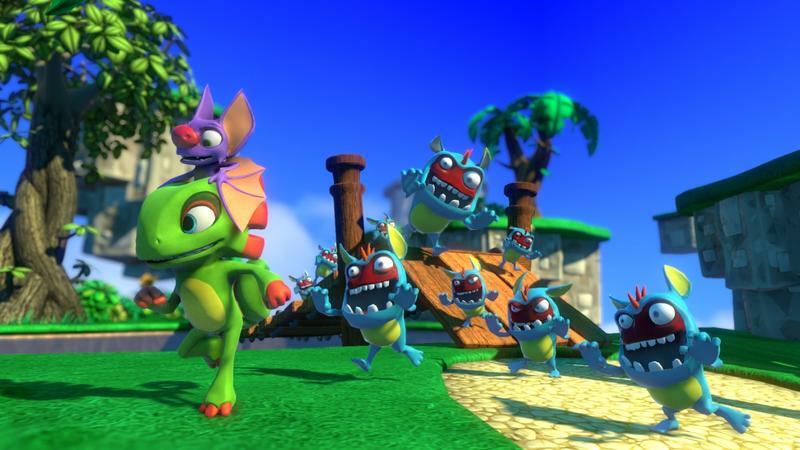 That’s because a lot of the same talent from Rare’s famed Nintendo 64 era is working on the title; Yooka-Laylee was actually pitched as a spiritual successor to Banjo-Kazooie, which is evident everywhere you look. 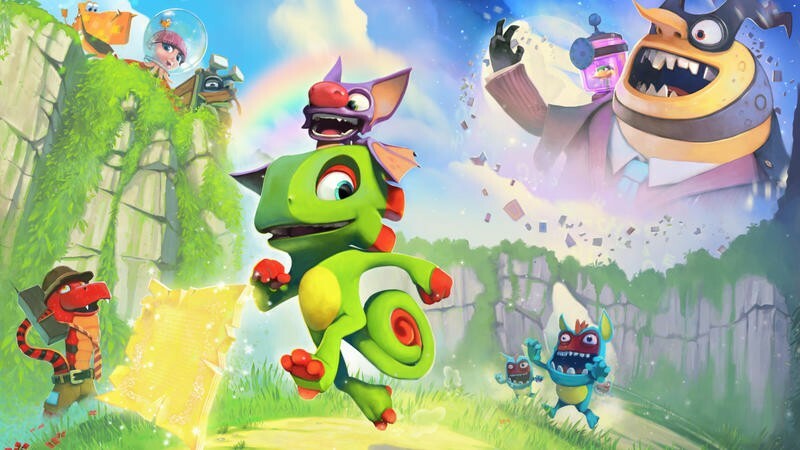 If that sounds up your alley, you’ll love everything about Yooka-Laylee, which is so evocative of the early 3D platforming era that it feels like a time capsule. You’d be forgiven for thinking it was a Nintendo 64 exclusive; I’d sure love to see it on Nintendo’s upcoming Switch. The graphics are chunky and the world is alive with charm and mystery. 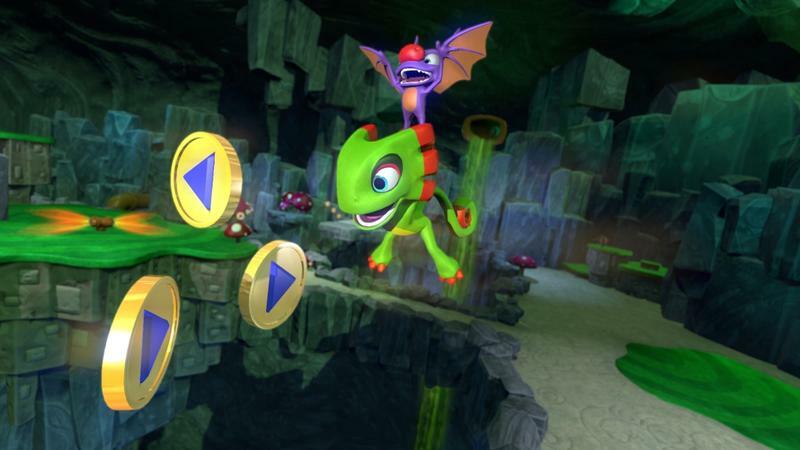 Players take control of Yooka (a chill chameleon) and Laylee (a wisecracking bat) in the world of Hivory Towers, where the two embark on a quest to track down “Pagies.” The “collectathon” aspect mastered by the Rare team is front and center in Yooka-Laylee, with players unlocking new worlds, abilities and items the more Pagies they collect. 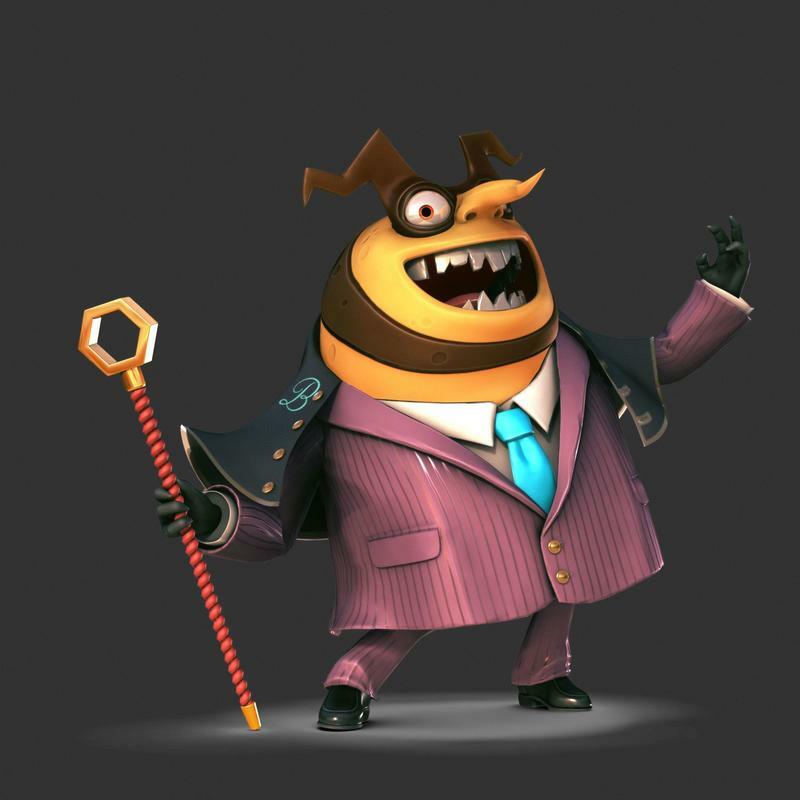 Yooka is considered the more sensible of the two, while Laylee is a little more direct and daring, exactly the same dynamic of Banjo-Kazooie. This creates a fun banter that’s immediately likable. But they might appear a little too crass for younger audiences. 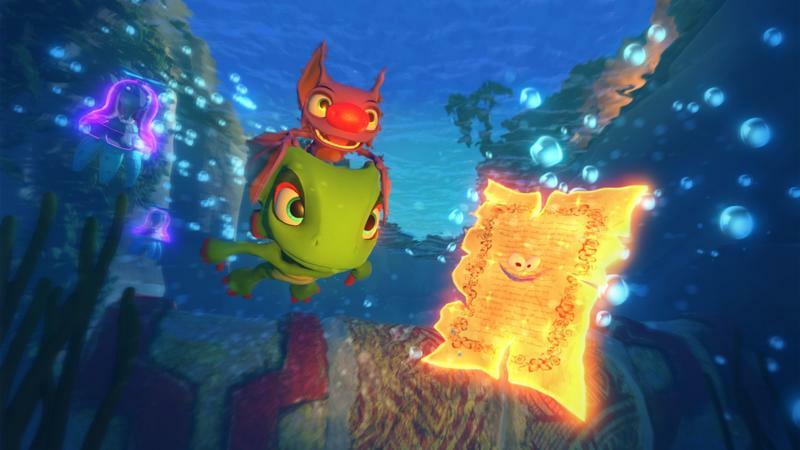 In addition to abilities such as sonar blasting and tongue whipping, the duo also have the ability to use a “fart bubble” for breathing underwater. 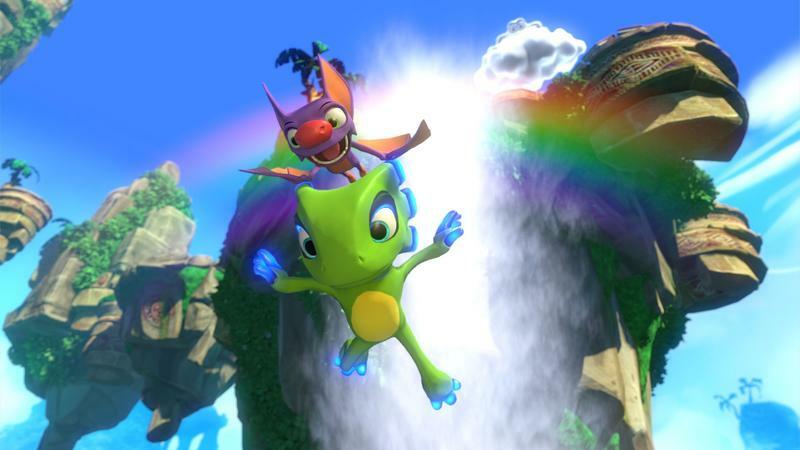 In the 30-some-odd minutes I played, Yooka-Laylee felt like one long trip down memory lane. Sadly, that included some tough controls that take getting used to. 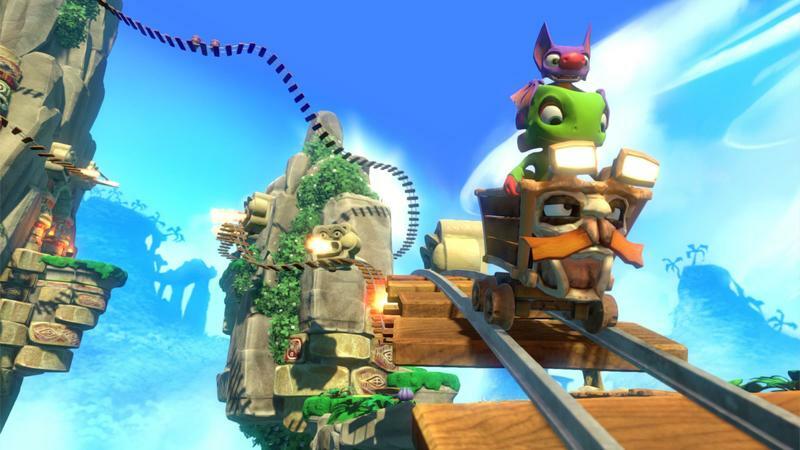 Controlling the duo didn’t feel as tight as other platformers, which led to a lot of mistimed jumps and falling off ledges. 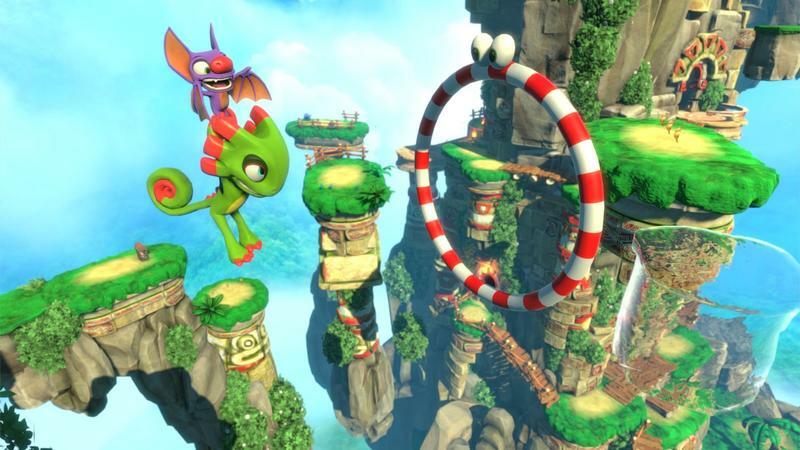 But once you get acclimated with the controls, you’ll love the Yooka-Laylee’s world and its inhabitants. The environments are massive, and they’re structured in a way that encourages exploration. I stumbled upon a few objectives during my play-through but all I really wanted to do was seek out collectibles and climb to the highest peaks so I could find other places to explore. Developers play a dangerous game when sticking so closely to revered classics. 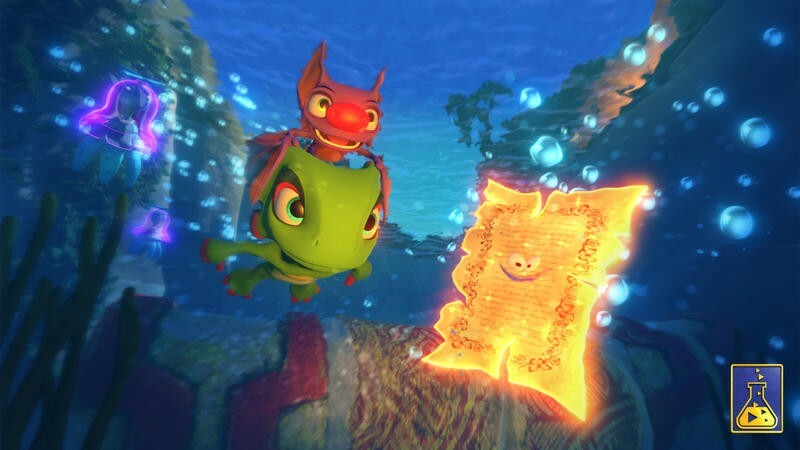 But Yooka-Laylee is so charming that you won’t mind the loose controls and familiar ideas. 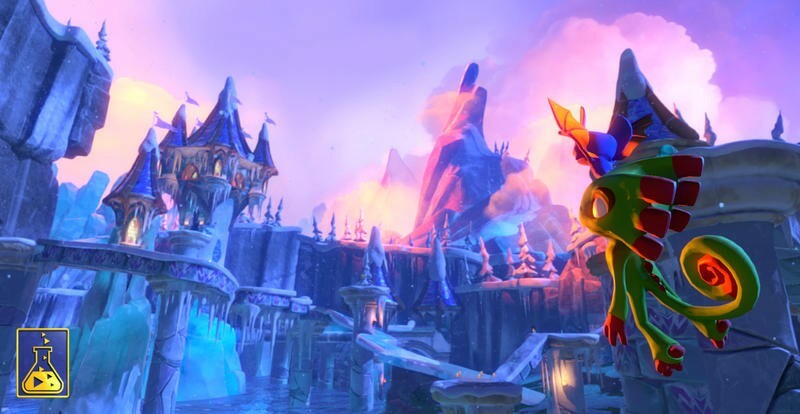 The worlds are colorful and teeming with personality, and the gameplay is wonderfully reminiscent of what made Banjo-Kazooie so memorable. I can go for a good collectathon right about now. 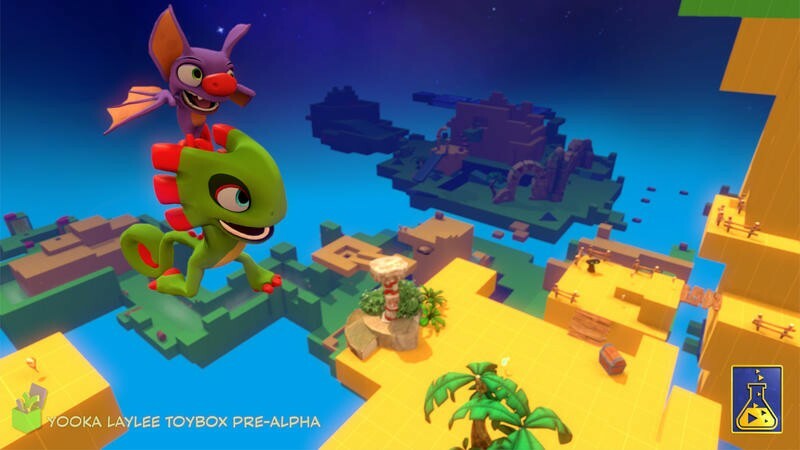 Almost 20 years after Banjo-Kazooie hit the Nintendo 64, Playtronic’s new platformer is the perfect medicine for those bored (or uninterested) by all the ultra-serious and ultra-realistic games dominating the market. I only got to play a small slice of the finished product and I can’t wait to play more. 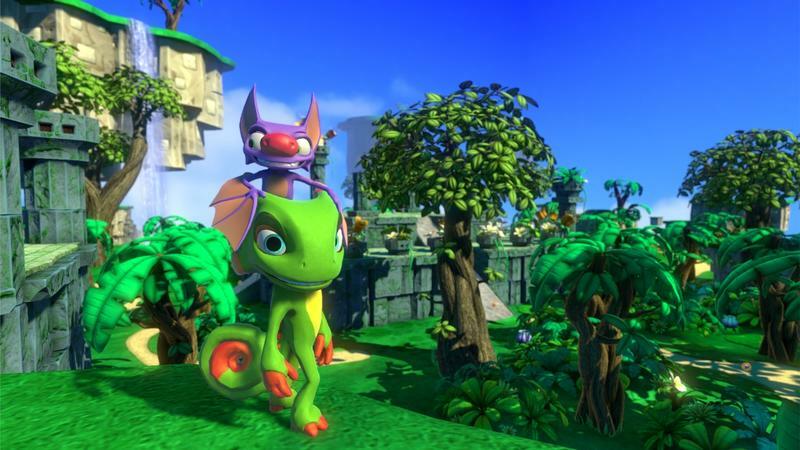 Yooka-Laylee is currently scheduled to hit the PlayStaion 4, Xbox One, Wii U, and PC in Q1 2017.